Friday night ends with three shots. 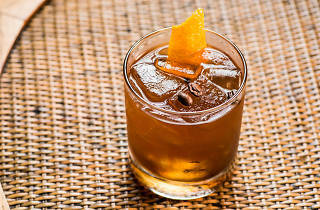 Cyllan Hicks, the head bartender at Clyde’s Caribbean, pours complimentary rum-and–ginger-beer shots and joins me and my date in a sodden salutation before we call it a night at 1am. It’s not the best decision to ensure a restful Saturday morning, but, hey, it’s vacation! 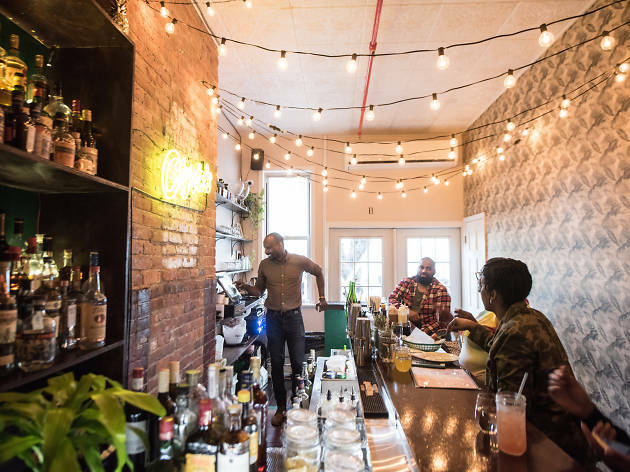 Well, at least you’ll think you’re on one, thanks to this Trinidadian cocktail bar’s breezy island vibes. 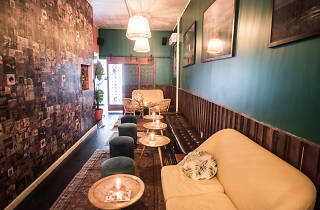 Connected to the Caribbean restaurant Pearl’s, the snug space has bright-yellow couches, a collage of calypso posters and a huge photograph of a naked man flanked by two women from a nudist colony. 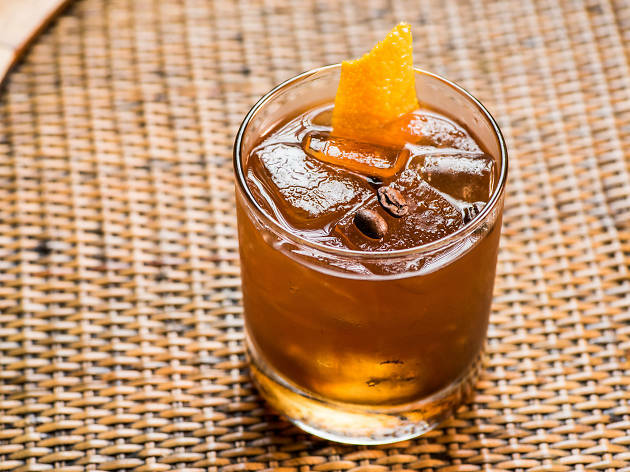 Clyde’s feels like the type of off-the-beaten-path, locals-only bar you find when you sneak out of your all-inclusive resort during a lazy tropical getaway. 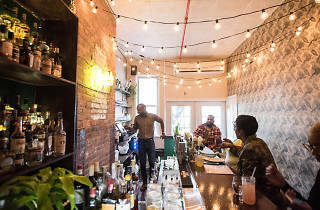 As such, most of the patrons act like they’re personal friends of the Trinidadian Hicks, who is a one-man show behind the bar: He dances and sings along to his playlist of Kendrick Lamar and Travis Scott, divulges the best times to avoid Clyde’s (dinnertime, when the space is crammed with parties waiting to get into Pearl’s) and boasts about his cocktails. 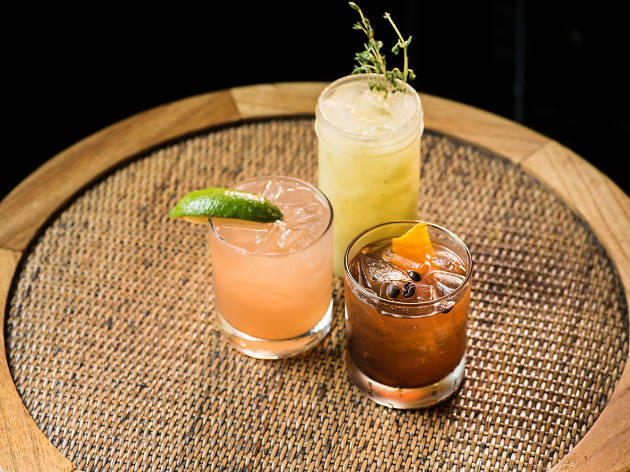 “I designed the drink menu, so they’re all good,” he says. In other words, Clyde’s should really be called Cyllan’s. The cocktails were good. Would they be better on a beach? Yes. 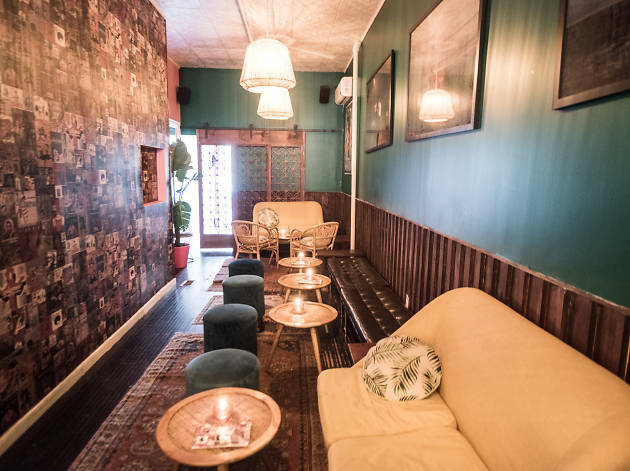 But they fit the bill for a Brooklyn tiki bar with a concrete back patio instead of a sandy one. 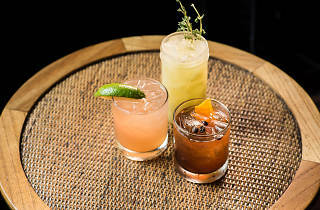 The Jab Molassie, a “modern” margarita that tastes like a tart version of the classic summer drink, has orange liqueur, guava puree and passion-fruit juice, while the Toco Breeze is reminiscent of a lite Hurricane, thanks to the rum and grenadine flavors, spiced with some cinnamon syrup. If you feel a sugar rush coming on, the Gin Thyme is like Dove Cucumber & Green Tea Body Wash in cocktail form: a crispy-and-creamy combo made with a “garden mix” of cucumber, avocado and thyme.